Donate to Challenge the sale of the Council Smallholdings. Judicial Review of Smallholding Sale – We have just 10 days to raise the £40,000 we need to challenge Herefordshire Council in the High Court and save our council owned farms. Click on the link below to pledge your support. 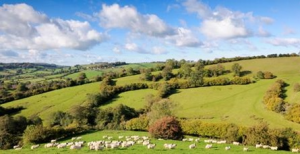 Herefordshire Council has buried its own consultants’ advice to keep the council farms in public ownership and it’s taken an appeal to the Information Commissioner to uncover the truth. These farms belong to us all and we should have greater access to them. We also believe they should remain as assets we can use in the future to support borrowing and investment. We think farming should be open to everyone – not just the lucky landed few. These farms help ordinary local people to enter farming. If they are sold off we’ll never see them again! Please help us to fund this challenge and ‘Like’ and ‘Share’ this post with your friends. Every penny counts and we’re very grateful anything you can give. http://www.itsourcounty.org/wp-content/uploads/2019/02/IOC-crop-Colour-1.jpg 0 0 John Harrington http://www.itsourcounty.org/wp-content/uploads/2019/02/IOC-crop-Colour-1.jpg John Harrington2017-05-14 15:35:552017-07-13 09:40:44Donate to Challenge the sale of the Council Smallholdings.